I have to agree, it's a half-measure and ultimately inconsistent in terminology. Moot point though discussing all this since someone has to do all the hacking and designs for all the games. The point was to match up with the most well known Localization that already exists since it was just for shits and giggles. 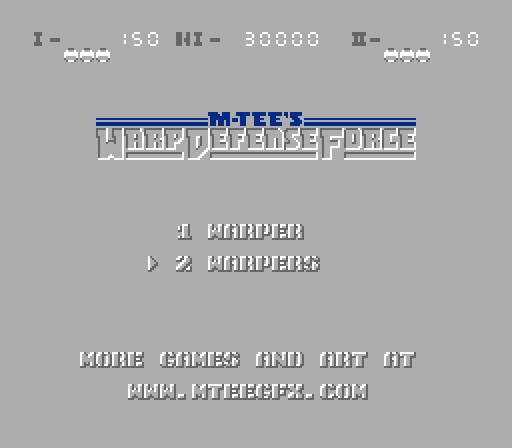 I figured why not and I haven't done a title screen only translation in a while, but I did fix up some engrish and fix a credit misspelling. How a better name for this game than just Mr. Moai? 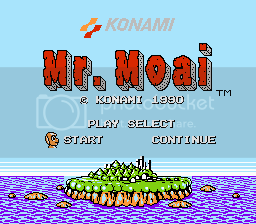 How about Mr. Moei Saves The Island? If the game didn't have any subtitles, I find it usually better not to add one. Makes it feel forced and lowers the professionalism at times. Doesn't "Moai-kun" mean more like "Moai Kid" than Mr. Moai? Well, technically you're a big Moai rescuing little Moai's so it fits that aspect of the game. The game also felt like a bit of a throwback to me given the simplicity and small ROM size. So I kinda wanted to pay homage to Mr. Goemon. I guess those are my justifications and I thought kun meant Mr, but I read the translation wrong. Oh well. -kun is used for girls too. So Mr. is not a direct translation of -kun. I thought -chan was used for girls. But you're saying it doesn't have to be? From what I read chan is the female equivalent of kun. -chan and -kun are generally used for girls and boys respectively, but it's not a hard rule. In any case, something like "Mr. Moai" would be acceptable. -chan are mostly used if the person referred to is someone very close to the speaker, esp. among girls or children. -san can be used for girls as well, but you already know that. I used the Rockman 2 logo on 1. Does it look too pink? Funny thing is, if this patch (which is a JP version) is applied to a US version hack, the JP titlescreen is retained (with a few messy tiles). But if patched on untouched US rom, the titlescreen is messed up! 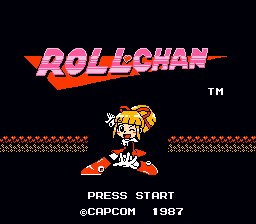 Rollchan is a meh title, How about The Mega Adventures of Roll? I think it'd look better with a lighter shade of pink, maybe change the background to red or something? The reason why it's corrupt if patched on US roms is that the tilemap and the tiles are different. How about The Mega Adventures of Roll? The US title logo is too difficult for me to modify, I tried & it looked terrible. Still, I love the JP title more. The background color of the original title in JP is blue, I compensated for black background & its not hard on the eyes. Going for bloodshot red proved bad on the eyes. I think I made a misinformation on 'JP title retained on US title'. I've actually created an ips patch from US original to my JP hack. It did work on applying to the US rom with no glitched tiles. If I create a JP original to JP hack patch to the US rom, it will get glitched tiles. Does that sounds confusing? How about just "Roll's Journey"? Recently re-discovered Warpman, a famicom-only title. Realized it was co-op and contained very few graphics to edit, so I'm doing an overhaul of it, similar to my Bomberman. Decided to loosely tie the title into the Earth Defense Force series as Warpman doesn't quite fit the feel I'm going for.